Enmore is a fun place to live with the Enmore Theatre up the road, a diverse range of restaurants for dinner and pubs to dance the night away. So get dressed, lock up and go out to enjoy. But if you are concerned that your home is not as secure as it could be then give Fusion Locksmiths a call. 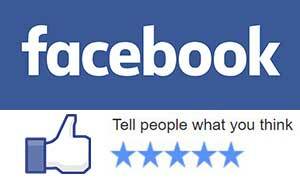 Servicing all of Enmore and Sydney’s Inner West we can get your house safe and secure. So whether you are at home or out, your family and valuables will be protected from intruders. 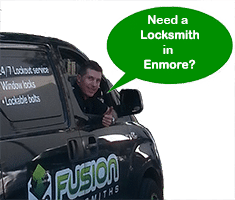 Fusion Locksmiths have been servicing Enmore for over 9 years and with a team of licensed locksmiths, we care about your safety by using the best brands in the locksmith industry. Our courteous locksmiths arrive when we say we are and clean up after the job – we value you, our customer. New to Enmore? Need a Locksmith to Tighten Your Security? If you have recently moved to the area, welcome to Enmore, you are going to love it. But before you get too comfortable, take the time to double check your security. A new home, means you need new security from past residents and tenants because you just never know who has a key to your home. A new home also means you don’t really know how well your locks work, if at all. Lock and security technology has come a long way, it may be time to get some stronger and more secure locks for your family and valuables. Call Fusion Locksmiths for a complete security check for complete peace of mind. Need Your Locks Repaired After a Break-In? This is a terrible event you are experiencing and this is when you need a reliable locksmith to not just fix your locks, but make sure your house or apartment is secure again. 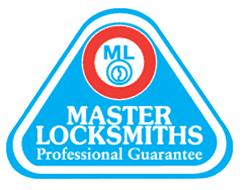 After fixing or replacing your locks, Fusion Locksmiths will do a quick assessment to double check your security so you can feel at peace again. With long standing partnerships with all the major suppliers of security hardware Fusion Locksmiths can recommend easy solutions so you can choose the best hardware for your needs. With lots of options, there is one to match your price range too!